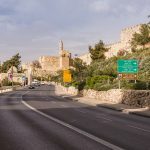 The Chicago Center has revolutionized the Chicago Community- with their Refuah-311 medical assistance, their minyanim around the clock, the Community events and shiurim and their yearly Community phonebook. They wanted a way to encompass all that in a site- so that peple can find what they need and understand all that is there for them. We delved into their different services and delivered a site that does just that! 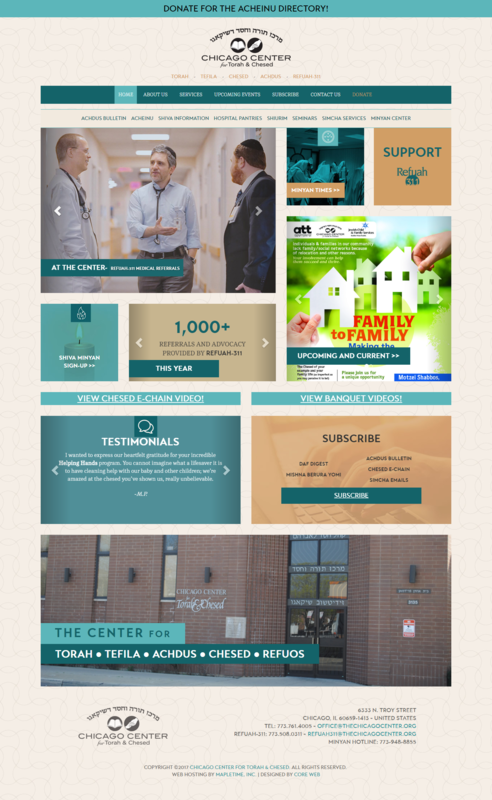 Take a look at The Chicago Center website! We strongly endorse Chavi Rokach and Core Web. Chavi and her team worked with us to produce the high-caliber web site the Chicago Center was seeking – to supplement our dozens of community services with online accessibility. We had complicated requests and numerous details that Chavi attended to professionally and proactively with her trademark enthusiasm and “can-do” attitude, resulting in a web site that provides a wide range of information and access with ease of function in an esthetically pleasing setting. Chavi was a pleasure to work with and we are very pleased with the completed product.